The second story arc of the fan-favorite, critically acclaimed VERTIGO series. Travel to upstate New York, where the non-human Fable characters have found refuge on a farm, miles from mankind. 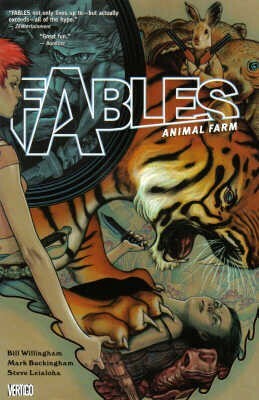 But all is not well on the farm - and a conspiracy to free them from the shackles of their perceived imprisonment may lead to a war that could wrest control of the Fables community away from Snow White. Starring Goldilocks and the Three Bears. Plus, a sketchbook section featuring art by Willingham, Buckingham and Jean.